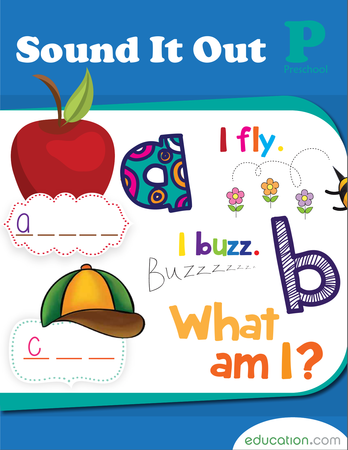 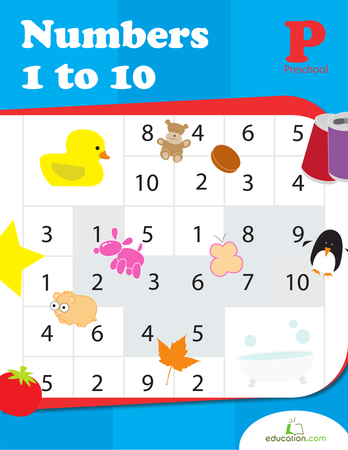 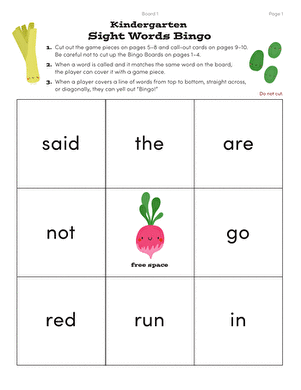 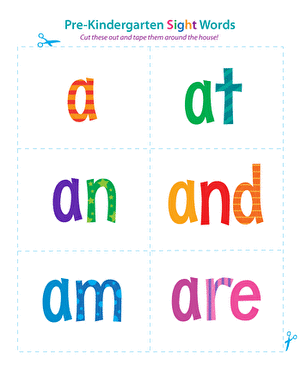 To help your child get a head start on reading, help her learn simple sight words with these colorful word flash cards! 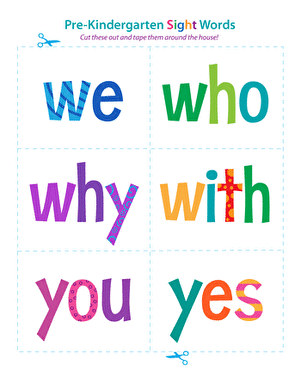 Sight words are common words like "why" and "who" that are difficult for children to sound out. 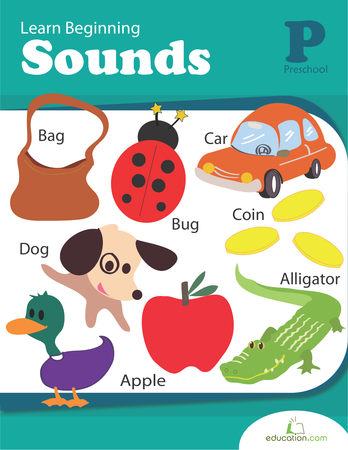 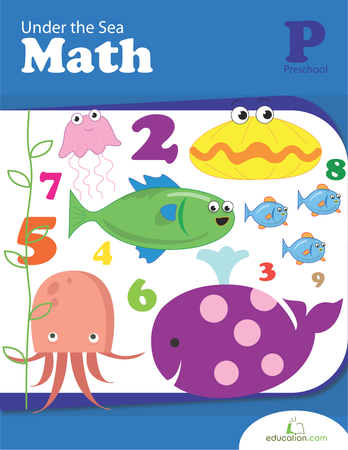 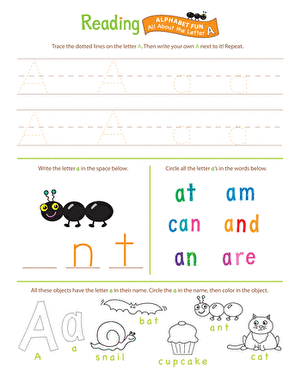 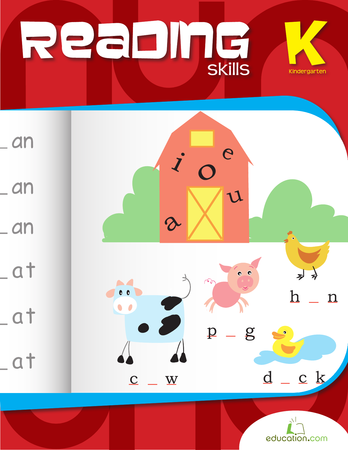 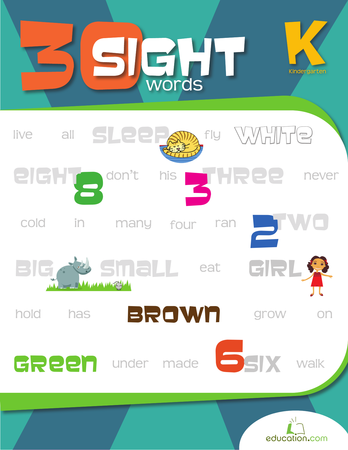 Many children learn sight words more easily by memorizing them as whole words rather than decoding them phonetically. 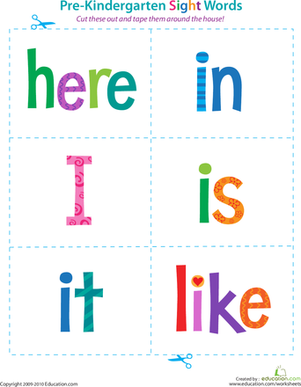 Just cut out these cards, tape them up around the house, and let the learning fun begin!